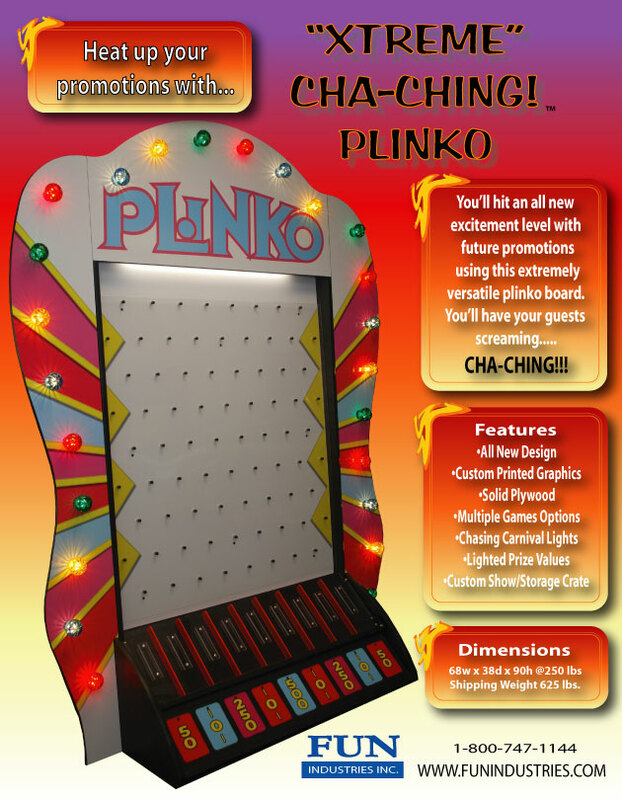 Custom Printed Xtreme Cha-Ching Plinko! 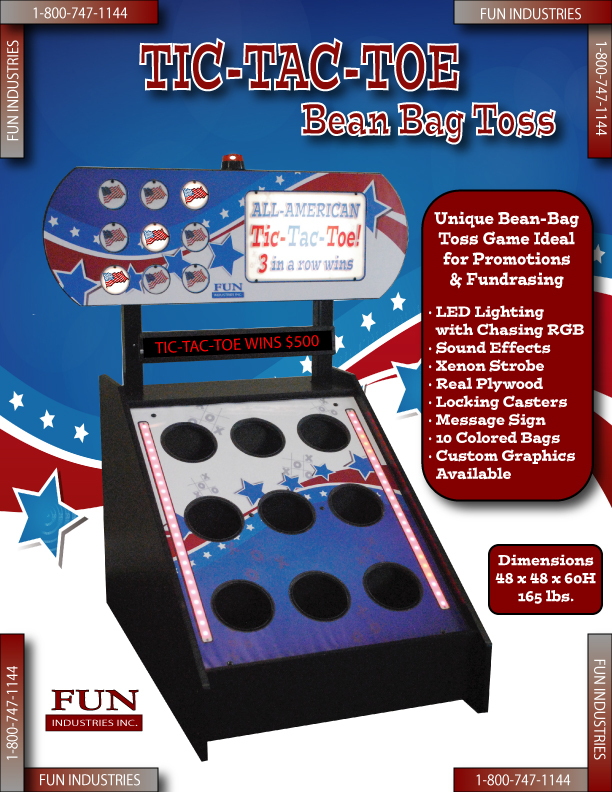 Corn Hole Cash-In Bean Bag Toss! files can help you create endless promotions and activities! printed backlit stand and interior LED lighting. 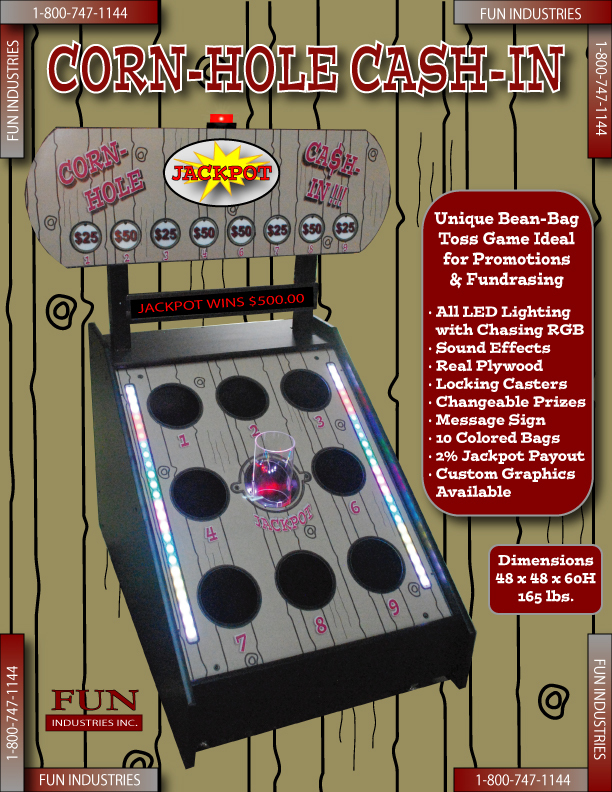 Fun Industries specializes in the manufacturing, sale and rental of special event equipment an coin operated games. 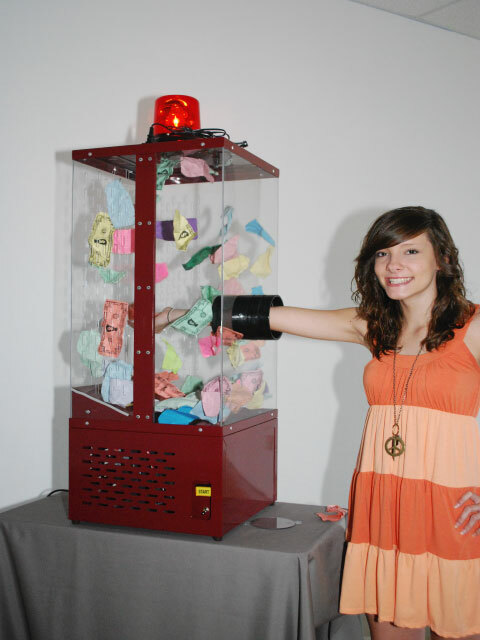 You have likely seen and enjoyed some of our products at Grand Openings, Fundraisers, and other Special Events. 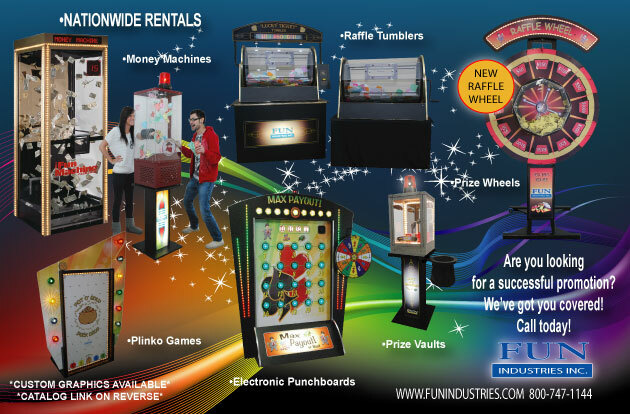 Our products are as diversified as the Elite Hollywood Money Machine you would find in major Casinos to the coin-op amusement games at your local bowling center. 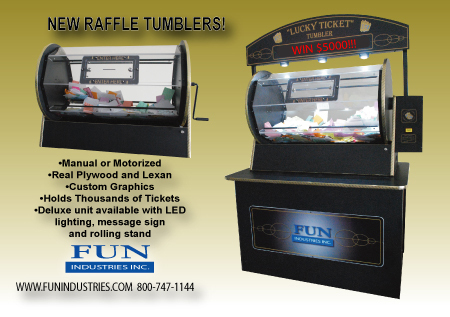 Event Promoters, Trade Show Operators, and Rental Agents have come to depend on Fun Industries product lines to insure successful marketing. We invite you to browse through our line of equipment. All have been designed especially for crowd appeal and to maximize traffic to help insure the success of your next event as well. Call our toll-free number to speak with one of our associates. OUR TRAVELER AND ONE ARM BANDIT MONEY MACHINES! 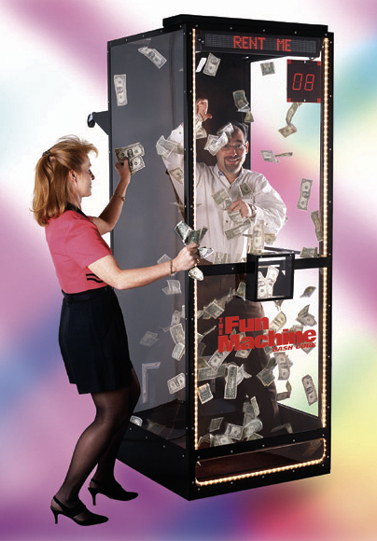 The Traveler Money Machine has always been a favorite for Employee Incentive Programs, Company Parties and Picnics, and other Corporate Events. 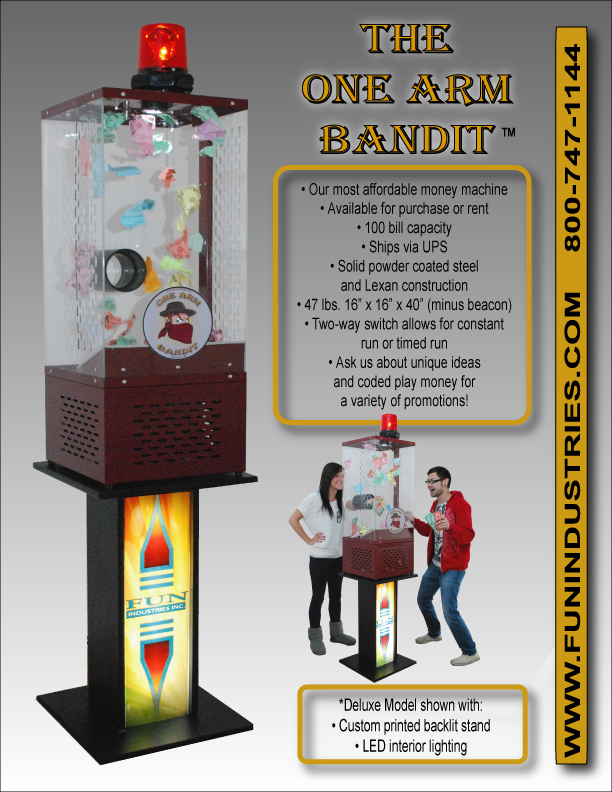 And now we have added the One Arm Bandit to our Natio nal Rental Program. Our clients now have access to two different models of Cash Cubes at a fraction of their purchase price. So whether your organization is hosting a small Radio Event or a massive Grand Opening, our machines are ready to make it a success! Contact us for further information on this program as well as the many other special promotional products we have available for your next marketing event. © Copyright 2015. All rights reserved. Fun Industries, Inc.